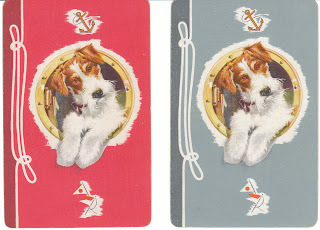 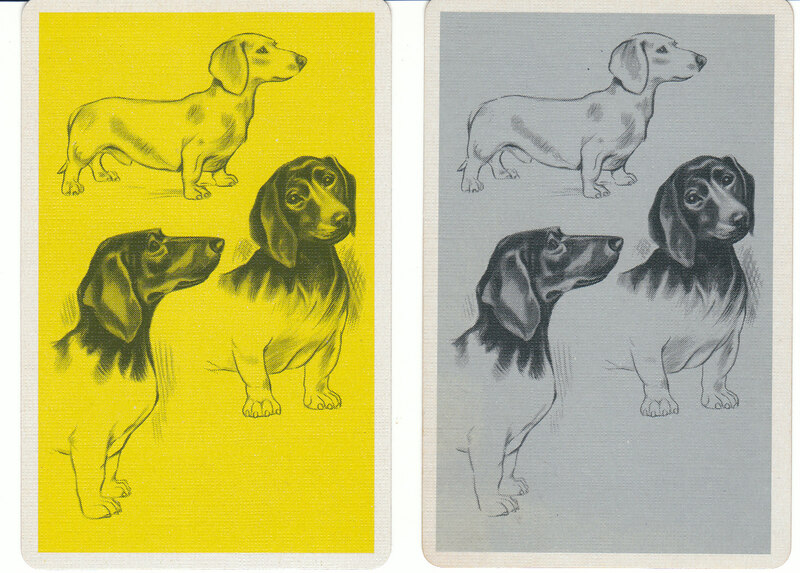 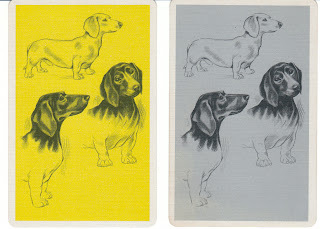 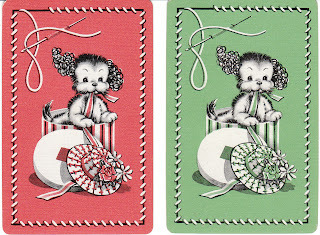 I've had so much fun with vintage dog playing cards this week! 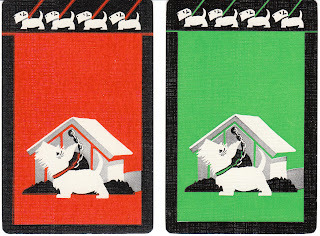 These cards are among my favorite things to list. 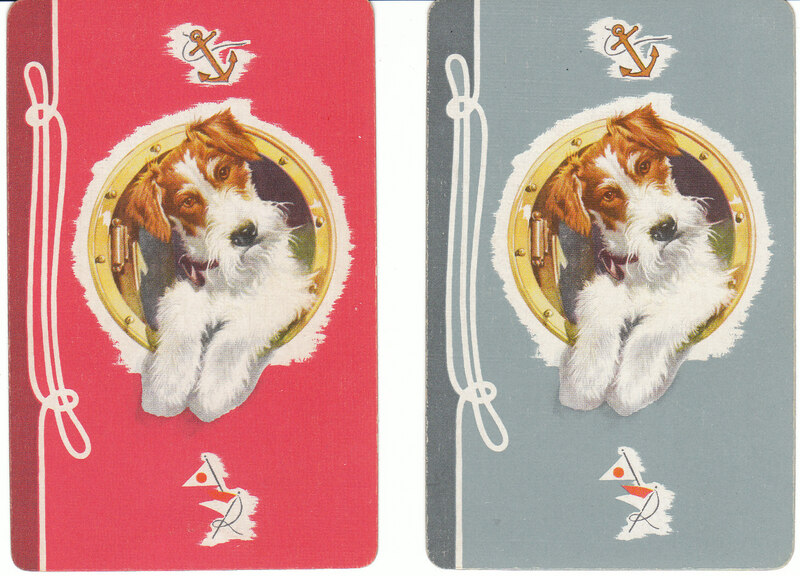 Dogs and ephemera together -- a perfect combination! 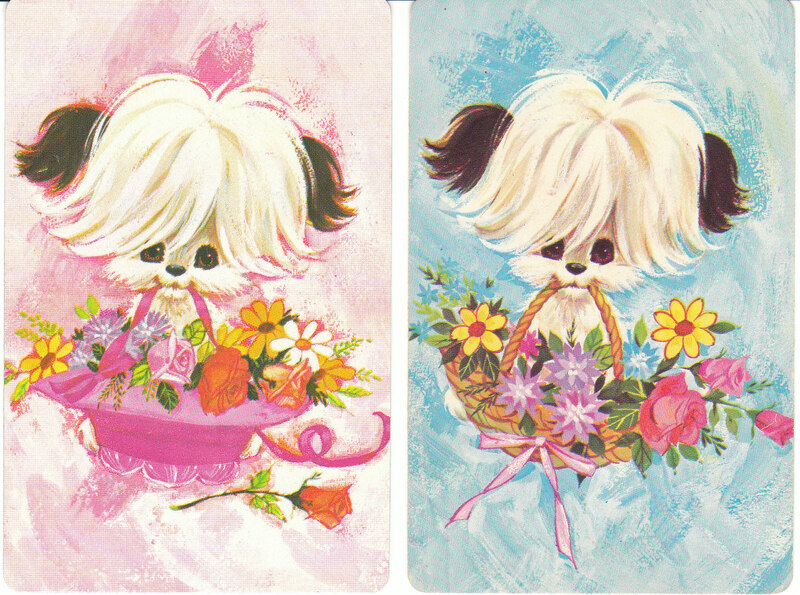 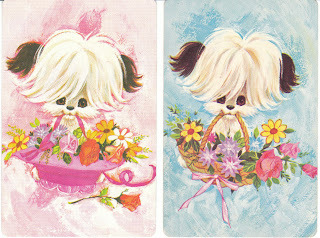 Here are a few more pairs of vintage dog cards from Birdhouse Books. 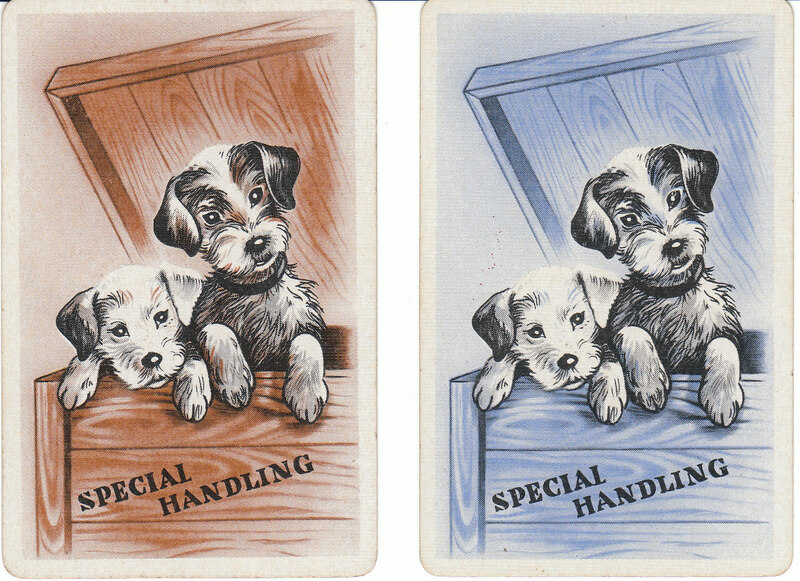 1960's vintage Terrier dog illustration - would look great framed! 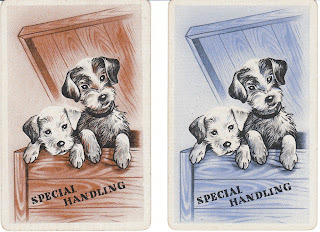 Again, all these cards and many more are at Birdhouse Books on eBay.